As part of our commitment to career-long success, Divers Institute of Technology offers refresher courses to graduates. Graduates are only charged for costs of materials on course refreshers from the curriculum they took as DIT students. Alumni are encouraged to take advantage of this opportunity to stay current with industry procedures, equipment, and safe diving practices. Continued education is especially vital when considering a major career change within the diving industry, where local legislation, as well as equipment and procedures, may be unfamiliar. If the refresher course requested was part of your original curriculum, you will be charged the cost of materials only. If you require additional courses that were not part of your original curriculum, but are offered now, you will be charged at a current day rate. DIT courses begin once every four weeks. However, availability for Alumni is based on number of open seats. If current classes are full, there may be a waiting period. Fill out the Refresher Training Request Form online. Please allow up to three weeks for processing. Once your request has been processed, you will be contacted with course schedules and availability. If the results of your assessment indicate that further training is required to reach your goals, and you wish to complete your training at DIT, please email the Training Department for costs and schedules. 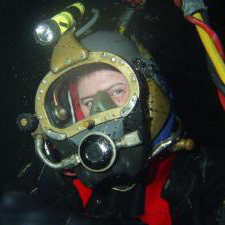 You may be required to complete operational training dives, perform practical procedures or equipment operations, take portions of the commercial diver curriculum, or take written exams to fulfill all requirements.